The fondest memory I have of this game was when they were two and four. We rented a cottage in Montauk. We’ve done a lot of traveling since then, but it’s still one of my most treasured vacations, one which they likely don’t recall. Simple, serene and still, the cozy cottage spilled out into a grassy knoll and a small bay. We would barbecue or get take-out and then run down to the still water and throw stones or watch my husband skip rocks. He skillfully made the small pebbles by the bay come alive. I can close my eyes and see their clothes, the striped earth tone colors of my son’s t-shirt, the navy blue and white bathing suit my four year old daughter lived in. 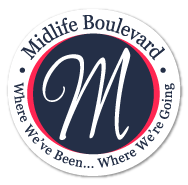 We were on our way to no diapers, high-chairs and strollers. Plus, just a drive to the ocean, the park and ice cream turned a simple vacation into paradise. I miss that. I stopped playing the time game at the intersection of hormones and double digits. The joy, wonder and awe of what’s next seemed to be burned out by time sucking activities, school demands, the minutia of everyday life and sometimes even fear. The sweet spot of that little vacation, when time seemed to be all we had has been usurped by the passage of time. I suspect my game is not uncommon among parents, the hopeful dreams, the wonder and awe of how your children will grow up, what will they excel at and maybe even how tall will they be. The ride has been exhilarating, exhausting and gone by too fast. You suspect the clock has a sneaky way of cheating, how has the time passed so quickly? Do I even remember the ages of eight and 10? Was I too busy getting dinner on the table, washing clothes, worrying about trivial details I don’t even remember? Have I missed some of the best parts of their childhood? The idea of time travel has also been fascinating. Most fictional characters who grab a ride back in time have some sort of epiphany along the way, like Scrooge’s foray to the past. There are moments in your life when the years ahead seem infinite. The summer when my children were two and four was one of those years. I can still see their beaming faces as they watched the skipping stones leap up, dance, fall down and reappear again. I miss the anticipation and the wonder of those magical moments of childhood. 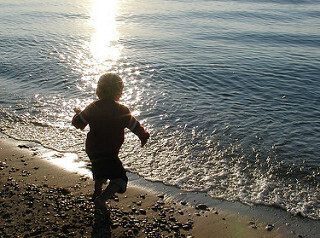 photo credit: <a href=”http://www.flickr.com/photos/52532834@N00/27541009″>skipping stones</a> via <a href=”http://photopin.com”>photopin</a> <a href=”https://creativecommons.org/licenses/by/2.0/”>(license)</a>d.